Na Nach Nachma Nachman Meuman: This guy writes about his meeting with Saba! This guy writes about his meeting with Saba! David Zeller. The Soul of the Story: Meetings With Remarkable People (Kindle Locations 2135-2139). Kindle Edition. tzitzit, his garment with the fringes on the four corners, over his shirt, and an old long black coat over it. He sat hunched over, but his eyes were dancing, his face was illuminated with joy, and he was telling stories about his youth to the few followers and visitors sitting closely around him. He came from an extremely poor family from Tiberias, a lovely town along the Sea of Galilee. His father was blind, and his mother baked and sold bread from flour that someone donated each week to support the family. He went to a religious school for poor children. Despite his struggle just to survive physically, he had a much bigger struggle in his life. He knew there had to be a way to pray from the deepest depths of the heart, with a longing and an enthusiasm and a fire. But whenever he asked his rabbis and teachers about this, they told him it was nonsense, and he should just get on with simply saying the words of prayer, then return to his studies. He begged to learn more, but they just ridiculed him. One day he found a Hebrew book whose cover pages had been torn off. It was lying in a garbage heap. That was no place for a holy book, so he picked it up and examined it curiously. After looking at the first page, young Yisrael started trembling with excitement, with awe, with fear. The book was about how to really pray to God, how to talk to God. It taught about going out into the fields to talk to God, about praying with the trees. This book was the answer to his prayers. He devoured it from missing cover to missing cover. He read it over and over again. But why was the book torn? And why was it in the garbage? And who wrote it? Reading the book one day in his yeshiva room, one of his roommates came in, grabbed the book from him, and said, "What's this you're reading?" David Zeller. The Soul of the Story: Meetings With Remarkable People (Kindle Locations 2139-2151). Kindle Edition. David Zeller. The Soul of the Story: Meetings With Remarkable People (Kindle Locations 2151-2162). Kindle Edition. David Zeller. The Soul of the Story: Meetings With Remarkable People (Kindle Locations 2162-2172). Kindle Edition. that he hadn't fasted on that particular day, Rebbe Nachman was telling him not to give up. It was signed in a way that no one had ever seen before: Na Nach Nachma Nachman M' (from) Uman. This revelation for Reb Yisrael became the foundation of the rest of his life and of his teachings. Today, a whole movement within Breslov Hasidism is based on this. For them, "Na Nach Nachma Nachman M'Uman" is a powerful mantra. When Reb Yisrael finished telling this story to me, he began telling stories of Rebbe Nachman. Now, I had heard these stories from Reb Shlomo and Reb Zalman and Reb Gedaliah. They are powerful, and I learned tremendously from them. But no one told them like Reb Yisrael. It was as if he were telling it for the first time, blowing his mind on every word, on every image. He was also blowing my mind with every word and every image. 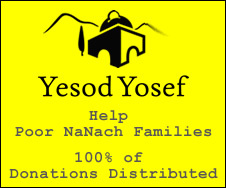 For instance, when telling part of Rebbe Nachman's story of the Seven Beggars, where one beggar was telling of his ability to heal the princess who had been shot with arrows, Reb Yisrael said, "The beggar said, 'And I could heal the princess.' And when Rebbe Nachman said that, he pointed to himself, and he said, 'And I could heal the princess."' And while Reb Yisrael spoke, I could feel the healing coming through. Why did he pick that one short part of Rebbe Nachman's longest story? Did he know that my wife Ety had cancer and was struggling to be healed? As he told story after story, or just certain parts of the stories that he knew needed to be told, I lost all sense of time. David Zeller. The Soul of the Story: Meetings With Remarkable People (Kindle Locations 2172-2182). Kindle Edition. I met with him a number of times after that, but that first meeting was the most powerful. He had an energy, a love, a joy that was totally beyond his old and frail physical body. Na Nach Nachma Nachman M'Uman. Na Nach Nachma Nachman M'Uman! David Zeller. The Soul of the Story: Meetings With Remarkable People (Kindle Locations 2182-2184). Kindle Edition.